Free Android launchers are a dime a dozen. With dozens of options out there in Android land, it can be overwhelming to decide which one to use — so let us do the hard work for you. After all, it’s easier to choose between three than it is to choose between thirty, isn’t it? We’ve done Android launcher comparisons Which Android Launcher Should You Use? We Compare the Best! 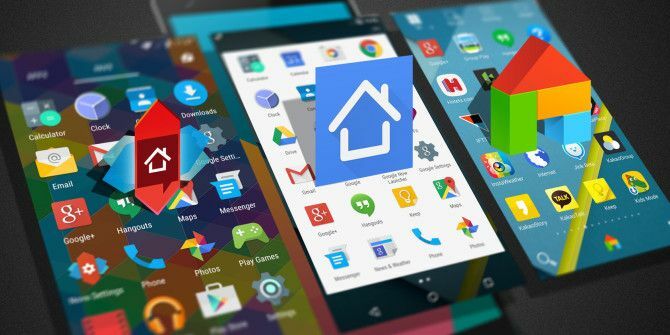 Which Android Launcher Should You Use? We Compare the Best! These awesome launchers will have your Android device feeling brand new. Read More in the past, but good paid apps don’t always make for good free apps. Plus, the Android app landscape has changed a lot since we wrote that. As of now, if you want to give your home screen a makeover The Best Android Tweaks You Can Make Without Rooting The Best Android Tweaks You Can Make Without Rooting Android tweaks aren't only for tech geeks. 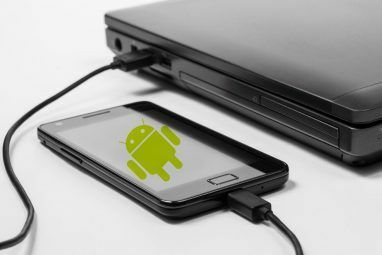 Here's how to get the most out of your non-rooted Android phone or tablet! Read More without paying a single cent, these are the best launchers that you should look into. They’re all excellent, so you really can’t go wrong no matter which one you choose. Nova Launcher is arguably the most popular launcher to ever grace the Play Store. This beautiful app, created and managed by TeslaCoil Software, is the power user’s dream. It has garnered praise from nearly every Android publication on the Web, and it just keeps getting better. Case in point: we first reviewed Nova Launcher way back in 2012 and concluded, at the time, that Nova was the best launcher available. Three years later, even with increased competition, we still believe that Nova is a top contender. What Makes Nova Launcher Great? The greatest aspect of Nova is its focus on user customization. It provides a number of different settings that you can adjust to create the screen layout of your choice, including multiple home screens, different icon sizes and grid layouts, subgrid positioning for more flexibility, icon padding, etc. Nova also alters the app drawer. Icon sizes and grid layouts are also adjustable here, but you can switch into a list layout if you prefer. Not only that, but Nova provides a more organized drawer for widgets as well, grouping them by app for optimal organization. And whether you’re going through home screens or the app drawer, you can enable infinite scrolling that wraps around when you get to the end and you can change the way pages are animated as you switch between them. Folders on the home screen allow icons to be grouped together in ways that save space and improve organization. Nearly everything on the home screen can have its color changed: labels, folders, tabs, etc. Docks are the final tinkerable aspect. The dock, which sits at the bottom of the home screen, has a handful of different visual options like background shape and icon designs. Nova allows anywhere from 1 to 5 dock pages that you can swipe between independently from the home screen. Even on a device as old as the Galaxy S3 Mini, Nova performs well. The animations are smooth, the transitions rarely lag, and all of the actions feel responsive. While the free version of Nova is perfectly acceptable, you’ll want to upgrade to Nova Launcher Prime ($5) for the full feature set: screen and icon gesture actions, unread counts, custom tabs and folders in the app drawer, hiding apps in the drawer, and more visual effects. Get the most out of it with our roundup of tips and tricks for Nova Launcher users 10 Power User Tips and Tricks for Nova Launcher Prime on Android 10 Power User Tips and Tricks for Nova Launcher Prime on Android Nova Launcher Prime is undoubtedly the best launcher on Android, and with these tips and tricks, it can be even better. Read More . Apex Launcher is one of the oldest free launchers still standing today. The funny thing is that Apex Launcher is often compared to Nova Launcher with the conclusion that both of them are pretty much neck-and-neck in terms of quality, yet Nova is the one that gets all of the fame and recognition. That isn’t to say that Apex is a Nova clone or anything like that. It has its own flavor, its own nuances, and its own reasons to convince you that Apex may actually be better than the highly-acclaimed Nova. I reviewed Apex back in 2013 and my opinion hasn’t changed: this launcher is a beast. What Makes Apex Launcher Great? The first point of interest is the range of sizes available for home screen grids. A lot of launchers, including Nova, limit you to somewhere around six rows and six columns, but Apex allows you to push the limits up to ten rows and ten columns. It’s a bit cramped for a small screen, but amazing for bigger phones and tablets. Apex also has separate settings for Portrait mode grids and Landscape mode grids, meaning you can optimize the screen layout based on the way you’re holding the device. Other home screen features include infinite scrolling, visual transition effects, and a few other small style tweaks. The app drawer customizations are great — Portrait and Landscape layouts available here too — but Apex offers something in its free version that Nova only offers in its paid version: hidden apps. Apex lets us hide all of those apps that we never directly launch from the drawer, reducing clutter. Another Apex freebie that’s a paid feature in Nova? Home screen gestures. You can assign actions to the following five gestures: pinch in, swipe up, swipe down, desktop double tap, desktop long press. There are 15 different actions available. And of course, you get thematic adjustments like icon sets, label colors, folders for organization, different drawer styles, launcher skins, and more. All of the above makes Apex a top-notch launcher, but if it’s not enough and you’re still pining for more, consider upgrading to Apex Launcher Pro ($4) for advanced features like drawer folders, unread counts, additional gestures, additional transition effects, and even support for themes meant for ADW, Go, or LauncherPro launchers. For as popular as it is on the Play Store, dodol Launcher is frequently overlooked in free Android launcher discussions, and that’s a shame because dodol is really, really nice. In fact, at the time of writing this, it’s my preferred launcher on both smartphones and tablets. The developer has several other apps under the dodol brand including keyboard, calendar, phone, file explorer, screenshot manager, and a few others. But of them all, the launcher is probably the best. What Makes dodol Launcher Great? My personal conversion to dodol was due to its performance. I’ve tested numerous launchers on my device over the past few years and while some of them (like Nova and Apex) have performed well, none but the most minimal and barebone launchers were as fast as this one. Yet dodol is not only fast, but full of features too. Like Nova and Apex, dodol supports custom home screen grid layouts, except dodol goes further than both by providing a range from 3×3 to 12×12 on-screen icons. Icon sizes, labels, colors, shadows, and margins are all tweakable, too. Folders exist to help with organization. The dock at the bottom of the screen can have up to five pages, each page holding anywhere from 1 to 7 icons. Icon and indicator styles can be tweaked if you want. The app drawer is customizable in a lot of the same ways as the home screen, and it also has the functionality to hide apps and/or labels from the listing. As for aesthetic changes, dodol comes with a theme shop that has tons of featured and user-created makeovers. Browse through the Top and Dodol’s Pick categories for a mountain of high-quality themes and wallpapers. Gestures are available, too: swipe up, swipe down, swipe up/down with two fingers, long tap, and double tap. These can all be assigned to one of eight different actions. Unlike the above-mentioned launchers, dodol also comes with a cleaner app that manually frees up RAM Why RAM Boosters and Task Killers Are Bad for Your Android Why RAM Boosters and Task Killers Are Bad for Your Android At first glance, RAM boosters and task killers sound incredibly useful, but a closer look shows that they could actually be harming your phone instead. Read More . One thing I really like about dodol is that it’s free. Not just split between a free version and a paid version, but completely free. No ads and no nag screens. It puts up a good fight against both Nova and Apex — and if you ask me, it comes out as the winner. If the above three launchers somehow don’t meet your expectations, or if you’re looking for something a little less traditional, then we also recommend checking out Aviate, Buzz Launcher, and Action Launcher. Which free launchers stand out in your mind? Are there any I overlooked? Or do you think it’s better to shell out a few dollars for a quality paid launcher? Tell us what you think in the comments below! Explore more about: Android Customization, Android Launcher, Android Theme. You forgot about go launcher. You can tweak that launcher to death. Did you know that Dodol launcher is now called Line Launcher and has ads? You really make it appear really easy with your presentation however I to find this matter to be actually one thing which I believe I would never understand. It kind of feels too complicated and extremely vast for me. I'm looking forward in your subsequent submit, I will attempt to get the hold of it! I'm really enjoying the theme/design of your weblog. Do you ever run into any web browser compatibility issues? A number of my blog visitors have complained about my blog not working correctly in Explorer but looks great in Chrome. Do you have any advice to help fix this problem? I know this is an old article, but Dodol launcher is now filled with ads. Popping up on your home screen and in folders. I have tried both nova and apex launchers and I have to say that Apex launcher suits my requirement. There have been times when Nova lagged while operations like opening the app drawer, exiting some app, etc. during its 9-10 month use, but Apex didnt have any issues at all even after 6-7 months of exclusive use. I would not jump to conclusions here and award one launcher, but my personal favourite is apex, which suits my requirements perfectly. No more add-ons required. Looong time NOVA PRIME user, LOVE it. Came here while researching launchers to see if Nova is still highly recommended or if there is something better. I think I'm going to put DODOL on my husband's gs5 he's been using touchwiz forever, I think he will love the customizations of a launcher. Thanks for the research you did. 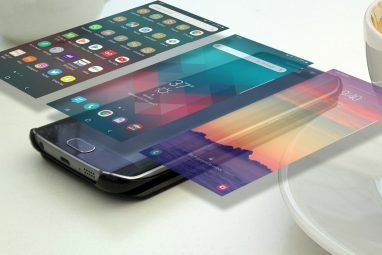 Next 3D launcher is hands down a launcher that will push the limits of your device. I definitely enjoy the various themes this launcher has to offer. I can honestly say I have tried them all. For some reason from my 1st introduction to them on my PC to an even more in-depth knowledge today, I have always loved launchers & the customization possibilities they contain. Now on my PC after going through the list of free docks/launchers & giving each a fair trial, ROCKET DOCK just really leaving no doubt as to which is the best. The smartphone launchers however is not as clear a picture to me which is the reason I have tried every single one I have come across at 1 time or another. As of now I have & use as my default the NOVA LAUNCHER, though that change took place only a short time ago. With Nova, I never tried it out & just had not gotten around to it nor was I really impressed enough to get in a hurry. That was until doing some in-depth research & after all the research, reading, & all that goes with that, I chose Nova over all the rest & there is nothing this launcher can't do & do very well. I only started the searching & researching after finally giving up on the launcher I had found, installed, & absolutely loved above all others for quite a long time, that being the EVERYTHING ME LAUNCHER. It is the most personalized launcher available & most people have never heard of it. Personalizing & customizing was it's calling card, & left nothing that a user could not change. But after all that long time frame without an issue one, it just went haywire on me & a whole lot of other people. I even reported the glitches & craziness that appeared in just a short time & I still think it's somewhere in the updates but they never fixed it & it even started crashing about once an hour. Lightning Launcher. Between the scripts, folders and million other ways to customize it you can have a phone that works like nobody else's... Abandon the grid mode and try out the infinite field for your desktop and then throw in whatever gesture based controls you can imagine. I have tried (and paid for) them all. Like Smart Launcher the best. Really cool. Unfortunately it seemed to really use battery. Maybe it was another app killing the battery. I might give it another try and see what happens. Nova and Apex seem to be the best in the standard format of 3rd party launchers. I use an HTC one M9. HTC has blinkfeed which is cool. Blinkfeed is probably the best thing about HTC Sense. 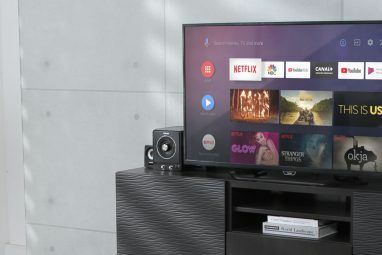 Using Nova Prime now and it is light and totally dependable. Has everything. Me too. Smart Launcher is the best. You dont have to hurt your fingers scrolling through te apps . Only SL does that . The Apex feature that is crucial for me is the ability to hide apps. I also like Apex's unobtrusive nature, unlike GoLauncher which wanted attention on a semi-regular basis. I've been using Nova Launcher for years but I'm never close minded about such things. I'll install Aviate (it's been a while since I gave it a try) and see what happens. I use Nova, but when I've been using low-end android devices Yahoo! Aviate is the best option, low resoures use and cool design. I use Hola Launcher, after using Nova and Apex. Hola is extremely compact compared to the others, is very quick, has a lot of features, which is amazing for such a small size in Ram and Data, and is free. No love for Go Launcher Pro? It has a feature that allows users to lock and unlock specific apps so for example you can let a kid play a game on your phone while keeping them out of your photos and the Play Store.